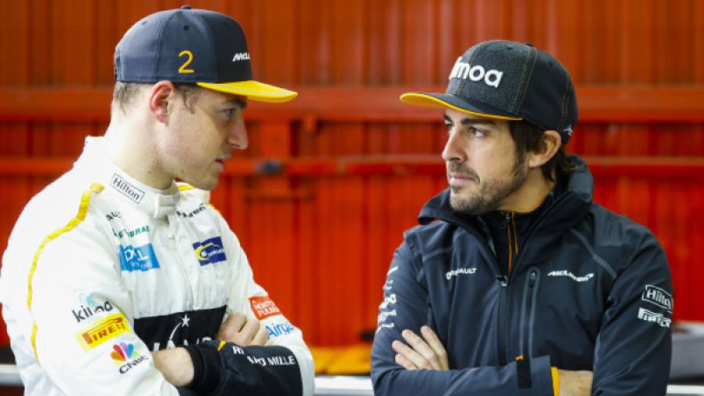 Fernando Alonso has admitted that McLaren were "not good enough" in qualifying for the Chinese Grand Prix on Saturday morning as both he and team-mate Stoffel Vandoorne failed to make it into the top 10 of the grid for the GP proper, finishing 13th and 14th. Ferrari set the pace in qualifying as both Kimi Raikkonen and Sebastian Vettel claimed lap records, with the German eventually emerging on top against the Finn to claim pole position. McLaren bided their time in Q1 but both drivers got out to make it into Q2. Up until the final seconds of Q2 it seemed like Alonso would move into Q3 with a place in the top 10, but the Spaniard was ousted by Sergio Perez and Esteban Ocon of Force India. Alonso has conceded that the performance of the team was not up to standard, but reckons they can improve in the GP proper on Sunday. "It was not enough today. I'm quite happy still with the position, P11 in Australia, P13 in Bahrain and P13 again here," Alonso told Sky F1. "Having the free choice of tyre tomorrow could be an advantage for us, especially if we don't use the ultrasofts as they may degrade a lot. "Hopefully we can keep taking points on Sunday. The qualy pace is not good enough yet but we need to analyse why. "The tyre degradation is going to be high tomorrow and it's supposed to be hotter and sunnier tomorrow. Choosing the right strategy, the right pit stop at the right time will make a huge difference. "It's up to us and I think the points are still very possible. The Spaniard has identified one issue for McLaren and believes there is room for improvement on pace on the straights. "After three races we have identified some of our problems," he continued. "We seem to be a little slow on the straights compared to our main competitors so I think there is potential to develop the car in that direction and gain some free lap time. "Let's hope to see some results."